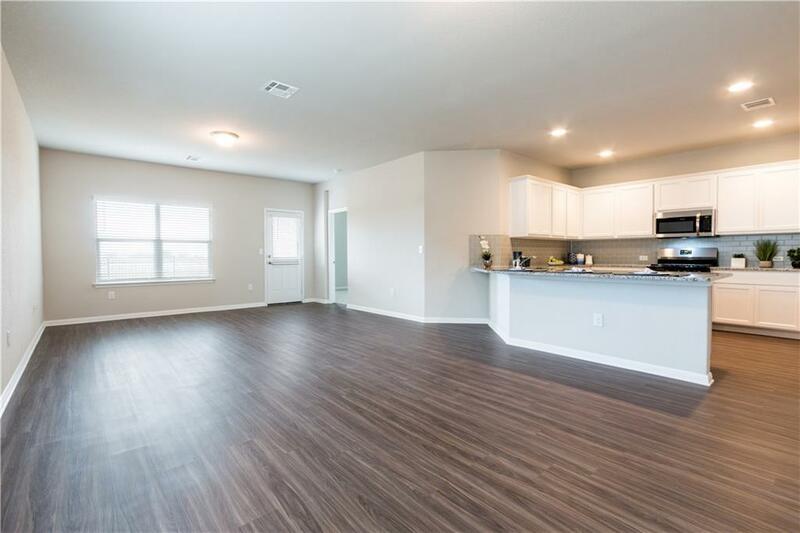 This brand new 4 bed/2 bath home has wood look vinyl plank flooring, and a kitchen that displays granite counters and stainless steel appliances. 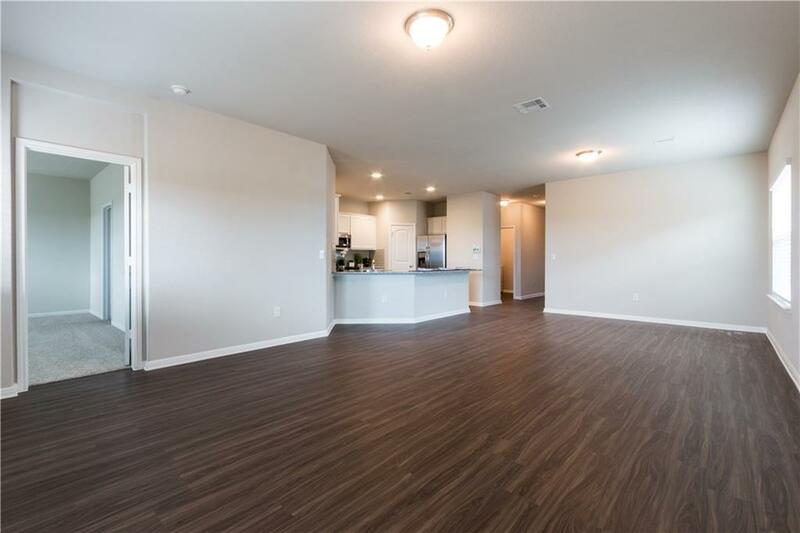 Your Master bedroom retreat has double quartz vanities, a large walk in shower and two walk in closets. 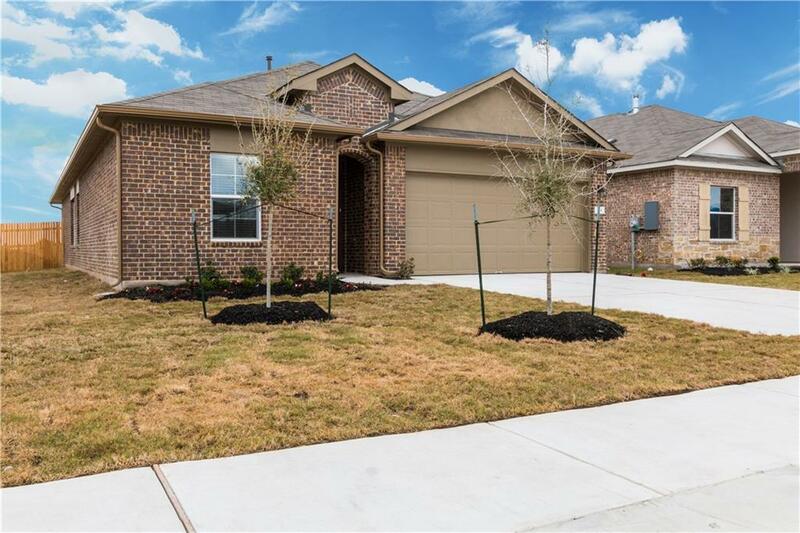 This immaculate home has a desired Mother-in-law plan, and covered back patio. A washer, dryer, refrigerator, blinds, garage door opener, and full sprinkler are all included. Short walk to community pool, playground, clubhouse, and pickle ball court. 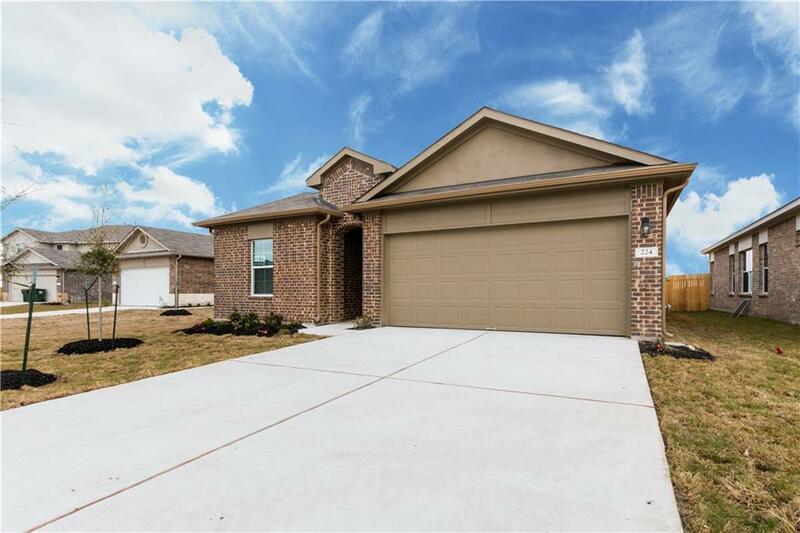 Property listed by 98th Meridian.